Seoul cafes: Apples! Korean fall apples delivered! 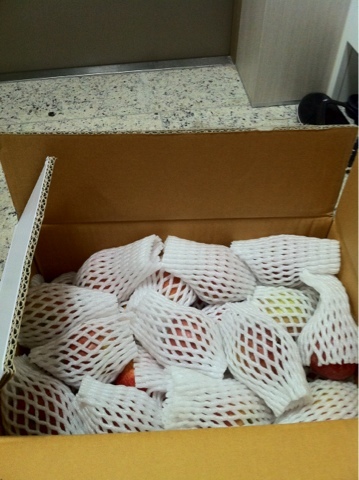 Our juicing apples arrived safely covered in little white sweaters...:).